There is no need to have separate individual engagement assessments and engagement surveys. All the data can be collected using Harrison's SmartQuestionnaire which takes 25-minutes to complete, saving you time and money. Instead of answering engagement questionnaires that focus on rating their managers, employees are asked what is important to them and to what degree each important factor is currently fulfilled. The SmartQuestionnaire also asks work preferences which provides the data necessary to identify the behaviors that employees need to fulfill their own expectations. To obtain regular engagement updates, employees only need to complete the Engagement Pulse Check questions which take less than 5 minutes. 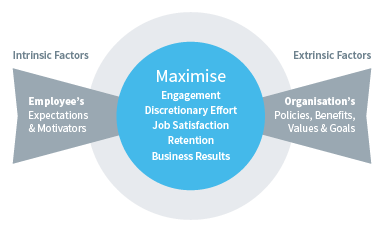 Provide effective engagement intervention for each individual employee by targeting the factors that are important to each employee. Place employees in roles that are engaging. Understand individual employee's expectations and the degree to which there are met. 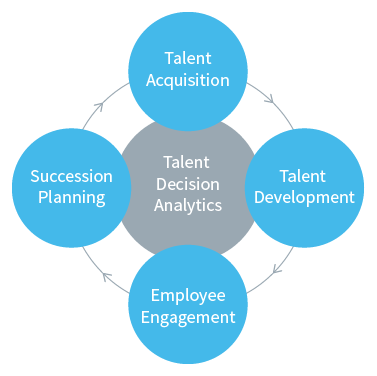 Identify how the organization can help fulfill the employee's expectations as well as what the employee needs to do.